Harwich is around 145 Kms from London and is the smallest of the 3 prime cruise ports: Harwich, Southhampton, and Dover. The travel time between Harwich and central London is approximately 2 hrs and if you want to have this journey, then Minibus Hire in Harwich is the best possible option. 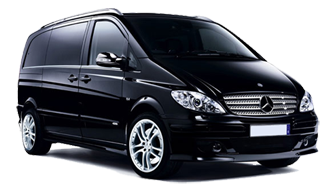 Minibus Transport Solutions provide excellent services of Taxi Hire for Harwich Port. No matter, what is the time and location of Pickup, we cover all the areas of Harwick Port. With the exclusive aim of providing the customers with a blissful journey, we present an upbeat solution to all the travelling hassles. All our vehicles are manufactured with the determination of the client's comfort and luxury. We have 7, 8, 9, 12, 14, 16 Seater Minibus Hire Harwich Port. All these vehicles are laden with comfort and lavishness, the interior of the vehicle is elegantly decorated and have extra luggage space. All the minibuses are incorporated worth push seats and extra leg room so that you can rest while the journey. Additionally, there are gadgets like DVD Players, microphones, charging plugs, air conditioning, and water coolers. You will be driven around the city just like a Rockstar as we make all possible effort to satisfy your needs. Moreover, the staff and drivers available at us are courteous, polite, and punctual. With these attributes of our staffs, your journey is going to be sophisticated as well as fun-laden. Whether you want to visit the Harwich port or want to book a tour from there, our courteous staffs will make sure that your motive is completed with any obstruction. You can also make a visit to the nearby areas of the Harwick pot with us. Our drivers will guide you with the locations and will surely turn your day into a celebrated affair. For booking the Seaport Transfers London, fill the simple form available on the left side of the page. With just a few steps you will receive a suitable quote for your needs. So, follow these steps. Put in your personal details including name, Email-id, and phone number. Follow with the pickup location. Next, enter the location you want to visit. In the end, put the message you want to inquire about. Well, you are done with the form filling process, now wait while we revert back to you. Travel from Harwick port can not be better than this as MTS offers a swift transfer of its visitors. Harwich minibus hire with driver has never been easier than this.